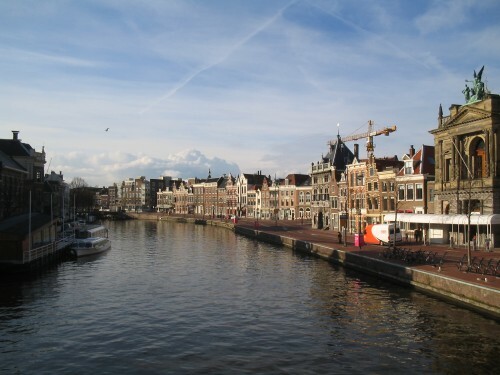 Haarlem, the historic town where our ball will take place this year, was officially founded in 1245. The city is very conveniently situated. By train it is only 10 minutes to Amsterdam and Schiphol Airport. The first railway in the Netherlands was actually built between Haarlem and Amsterdam. Today trains are running between both cities six times an hour, and also other cities like Leiden, The Hague and Utrecht are not far away. The city lies very close to the Dutch coast and the dunes, where you can have some lovely walks, even in the winter period. The city is famous for its shops; it has already been elected as the shopping city of the Netherlands a few times. There are a lot of independent shops and antiques stores. To walk in the city is a real delight, there are many historic streets and there are about 1200 monumental buildings. Haarlem gained its wealth during the Dutch Golden Age. Adorable are the “hofjes” (almshouses built around courtyards). The oldest “hofje” in the Netherlands lies in Haarlem. There are 22 museums in Haarlem, of which the the Frans Hals Museum and Teylers Museum are the most well known. Both are famous for their paintings created by the Dutch masters. Other must sees are The Grote Markt (“the big market”), a big square in the centre, the Saint Bavo Church and the river Spaarne. Haarlem is also a great city for eating and drinking, please check Eet.nu. For more information of the city, please check Wikipedia and Visit Haarlem. For hotel bookings please check Tripadvisor and Hotels.nl.